2015/16 was the first season Harry spent at Manor Farm Stables and he made quite an impression. Within months of arriving he recorded his debut Cheltenham victory aboard Old Guard, a month later winning the Grade 3 Greatwood Hurdle aboard the same charge. Since the days of his champion conditional campaign Harry has not looked back and is now at the top of the roster of jockey’s in Ditcheat. Harry has earned this position by holding his own on the biggest of stages and recording victories for us in the Grade One Tingle Creek amongst other top races. Harry spends a huge amount of time schooling the horses at home, gets along well with our owners and looks set to be a hugely successful first jockey for team Ditcheat. 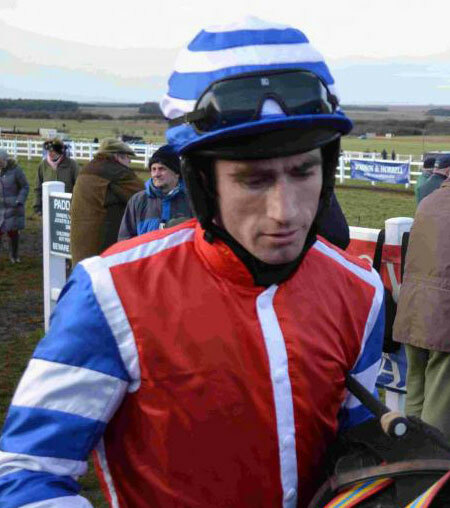 With over 550 winners to his name including seven Grade One winners and four Cheltenham Festival winners he is already established as one of the best jockeys riding today. Originally from Naunton in Gloucestershire Sam is the son of Gold Cup winning trainer Nigel Twiston-Davies with whom he has achieved some notable career highs. Sam broke on to the scene as an amateur when landing the Cheltenham Foxhunters aboard Baby Run in 2010 before turning professional at the end of that season. A Conditional Jockey’s title quickly followed, in a season that saw him claim the prestigious Paddy Power Gold Cup and the Becher Chase along the way. 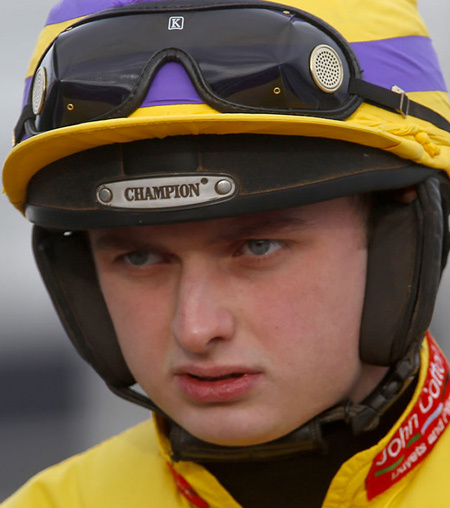 More recently Sam has played a key role in some memorable victories for Team Ditcheat. He recorded his first winner for us at Wetherby in November 2013 shortly before steering the legendary Tidal Bay to victory in the Grade Two West Yorkshire Hurdle on the same card. 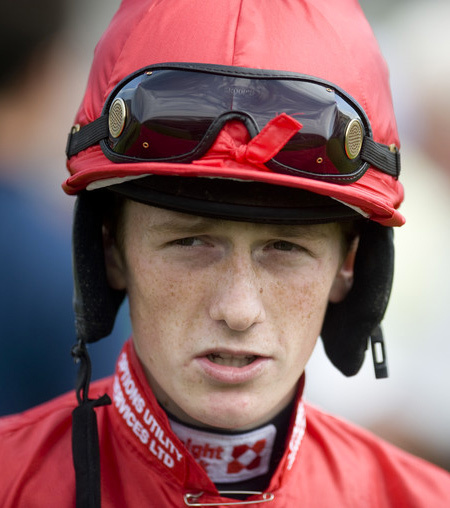 Sam rode over 100 winners in one season for the first time in the 2013/14 season and recorded his first success as number one jockey at Manor Farm Stables aboard Pressies Girl in May 2014. He has now gone freelance for this coming season but will continue to be a huge part of the team in the future and will still ride for us regularly. Sean capped a brilliant first season as a conditional jockey by winning the bet365 Gold Cup at Sandown on Just A Par on the final day of the campaign for two of the yard’s long standing owners Paul Barber and the late Graham Roach. Sean was also crowned champion conditional at 17 in April 2015 with 51 winners despite missing around six weeks with injury mid season. Further highlights included a treble at Chepstow on Welsh Grand National day and another notable treble at Haydock. 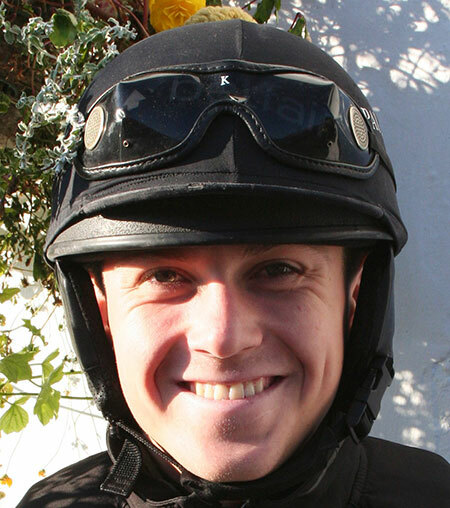 A quietly driven young man Sean is endlessly ambitious and aspires to one day be champion jockey, his first stepping stone to that dream being to ride 100 winners within a season. A hugely likeable young man Sean is a very talented rider who will continue to represent us up and down the country and look to continue his impressive big race record for us. Daughter of legendary Grand National winning jockey Jimmy Frost. 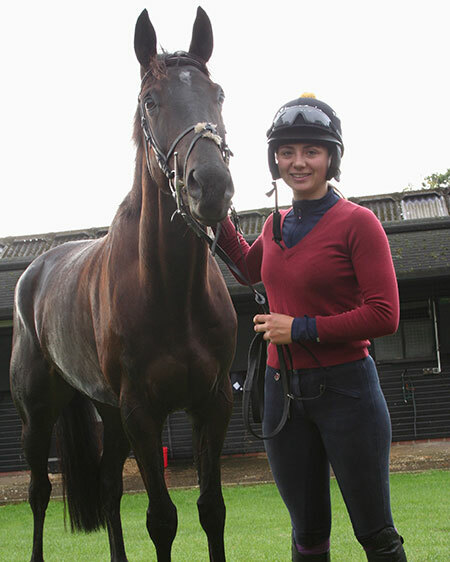 Bryony rode as an amateur jockey from the age of 16. She won the National Novice Title, the Devon & Cornwall title twice, Wessex area once and in 2016 the National Hunt Girl’s title. In March 2017 she rode her first Cheltenham Festival winner on Pacha Du Polder in The Foxhunters. After turning conditional in the summer of 2017 Bryony has enjoyed sensational success and spent all of last season in public eye after some famous wins aboard Present Man, Frodon and her beloved Black Corton. The racing public along with our owners seem to love Bryony’s enthusiasm and sheer joy in doing her job and now claiming 3 pounds she will continue to play a big part in team Ditcheat’s success on the track. 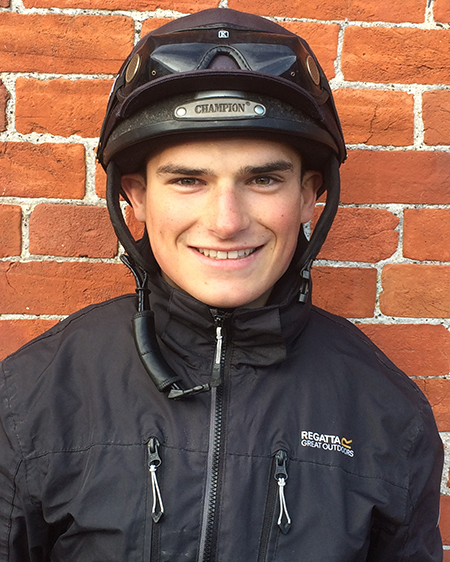 Alex, who grew up in Inverness spent his first season as a conditional jockey with Lucinda Russell, riding 8 winners and gaining valuable experience before joining us in July 2017. An all round sports fan who did a stint running semi professionally for the Inverness Harriers, competing mainly in the 3000 metre steeple chase, which he did alongside an extensive academic career studying for six A levels. Sport always took priority while English, physics, chemistry, human biology and higher level Mathematics occupied his mind elsewhere. Alex, now starting his second season with us here at Ditcheat enjoyed his first two victories for the team last year, Volpone Jelois and Magoo providing him with two memorable days on the racecourse. An exceptionally hard worker, who looks for the positive in any situation and is always looking to learn and improve himself Alex is a popular member of staff and a big asset to the daily running of team Ditcheat. Like many of our other young men with licenses in the yard, Lorcan left school after completing his GCSE’s and has quickly made a good impression within the yard. 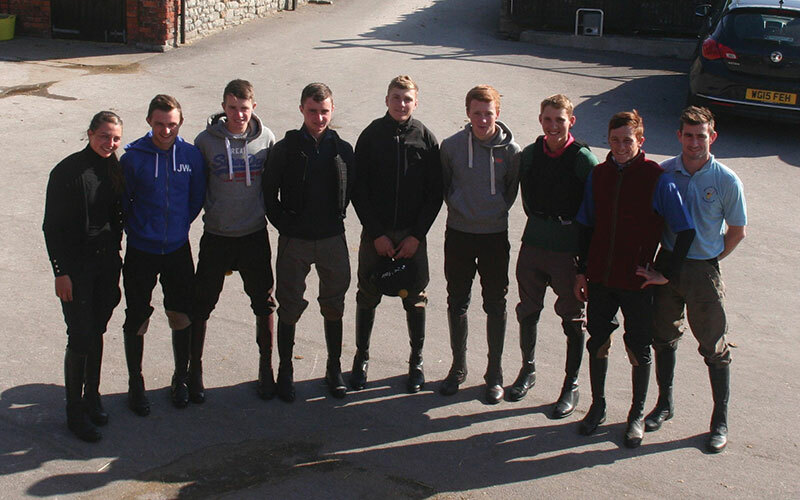 Pony racing was his way into the sport and a friendship with Sean Bowen encouraged him to move from his native Wales to learn his craft here at Manor Farm Stables. After a successful amateur season last year that saw him crowned as National amateur champion jockey was the final piece of encouragement he needed to turn professional. Lorcan works extremely hard every day on his fitness and diet ensuring he is always in the best possible shape to ride on the track. Turning professional has really brought about a new level of dedication and work into Lorcan’s life and he is focussed, ready and looking forward to a big season. 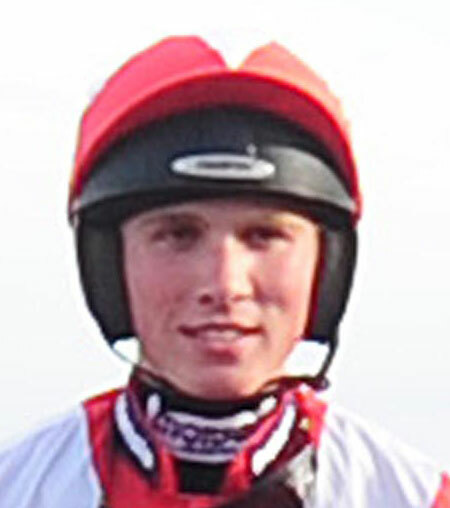 Champion point-to-point rider for the past five seasons, Will Biddick is very quickly becoming the most formidable name in the pointing field. In the 2014/15 season he smashed the record number of winners for a season which stood at 56 adding another 12 to that total posting a massive tally of 68, a record he is busy trying to beat once again. The son of a Cornish farmer will spent some time as a conditional jockey with Venetia Williams before turning back amateur, with his weight posing a problem in the professional ranks. Not only does he regularly provide an education for our young horses in the pointing field he spends time breaking in horses and getting to know head strong or troublesome youngsters. A brilliant asset to our team of jockeys, Will is a fun loving hard working character who is a popular guy in and around the yard.